Many Illinois nursing home residents are highly susceptible to developing facility-acquired bedsores due to declining health or other medical conditions. Because of that, the nursing staff must follow strict procedures and protocols outlined in the patient’s Care Plan or Physician Order Sheet (POS). Unfortunately, not all nurses receive adequate training and ongoing supervision from competent nurse supervisors and directors, which is often detrimental to the health and well-being of the patient. Rosenfeld Injury Lawyers LLC represent injured and neglected residents of Illinois skilled nursing homes like Twin Lakes Rehabilitation and Health Care Center. 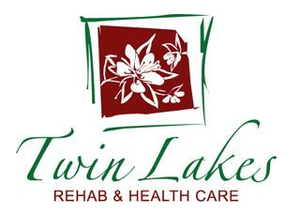 As a part of the Peterson Healthcare System, Twin Lakes Rehab offers their Pathways Rehabilitation Program, nursing care, memory care and Alzheimer’s care. As a part of its annual licensure and certification survey, the investigator reviewed new hires from the personnel files of Certified Nursing Assistants (CNAs). These documents revealed that a CNA had worked 10 days and another had worked 78 days without being checked in the Fingerprint Base Criminal History checks or the Health Care Worker Registry. The Facility Administrator acknowledged that numerous employees have been working at the facility without first running their checks through the Health Care Worker Registry before providing cares to residents. If you have your suspicions that your loved one is being neglected or abused while residing at Twin Lakes Rehabilitation and Health Care Center, call Rosenfeld Injury Lawyers LLC to stop the mistreatment now. Let our knowledgeable Paris attorneys file and successfully resolve your mistreatment, neglect or abuse case that happened in an Illinois nursing home. We encourage you to contact our Edgar County elder abuse law office today by calling (888) 424-5757 to schedule your appointment for a complimentary financial recompense claim review. Our law firm does not require any upfront payment because we accept all nursing home neglect and abuse cases through contingency fee arrangements.